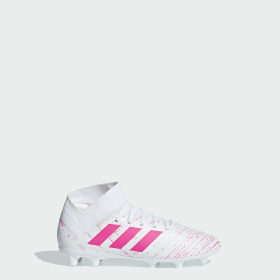 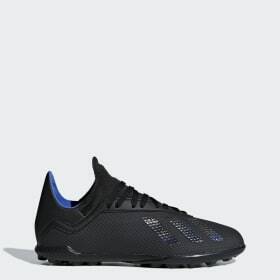 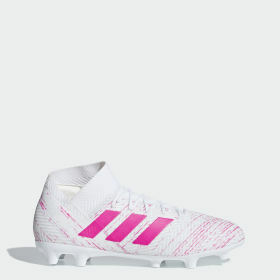 Play with the pros in adidas football shoes, and enjoy the best football boot technologies designed for your play style, your game, and your life. 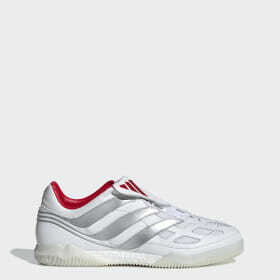 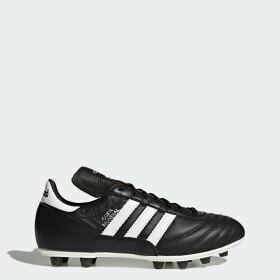 At adidas, a decades-long legacy of football excellence defines our footwear designs, no matter the playing style. The newest football boots offer cutting edge technology to improve ball control, and outsole designs that optimise grip and traction on any surface. 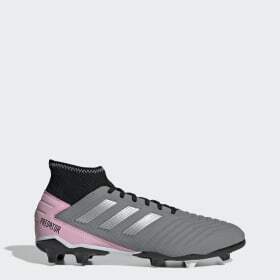 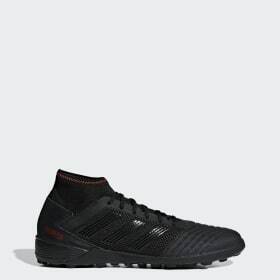 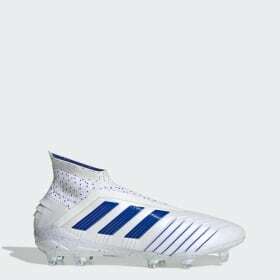 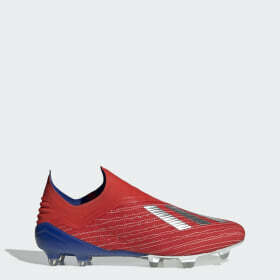 Whether you’re playing on the street in boots designed for it; devastating your opponents in the cage; or tackling rivals in the stadium wearing professional boots designed for the big league; having the right adidas boots for you is a whole different ball game. Dominating play and leading your team to glory kicks off with choosing the right boots to match your game. 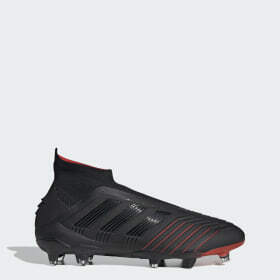 First you need to define the surface you’re playing on, as each surface demands its own football trainers with different technologies and innovations. 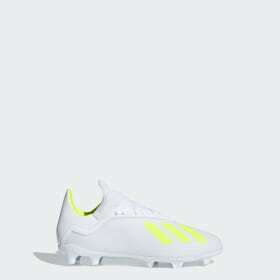 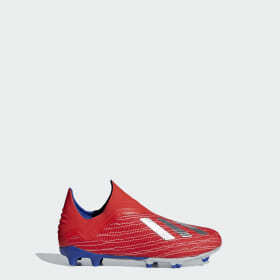 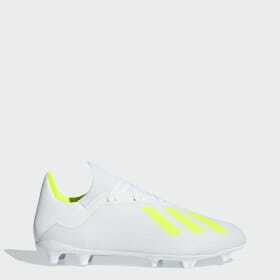 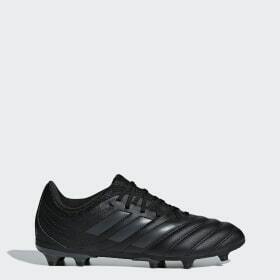 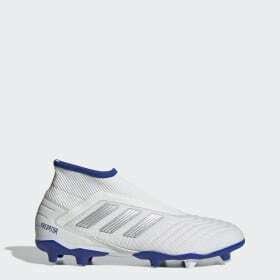 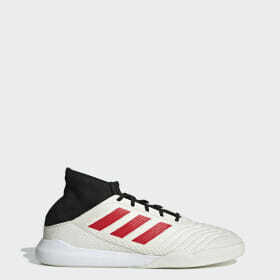 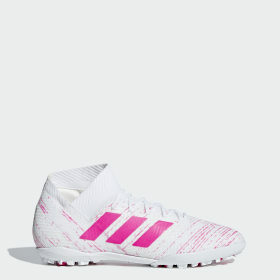 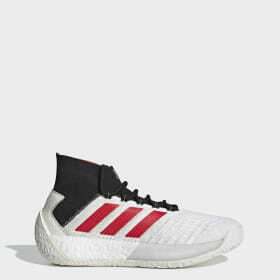 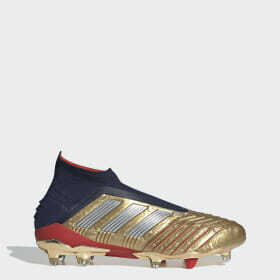 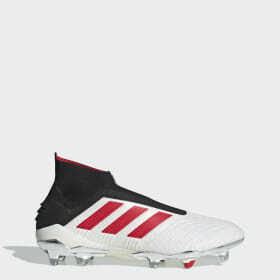 All adidas soccer boots come in cleated and non-cleated versions. 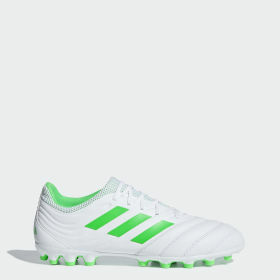 Choose cleated, for play on soft ground, firm ground or artificial grass, and non-cleated for harder, flatter surfaces, like indoor courts, artificial grass or street games. To gain extra traction, non-cleated boots come with small rubber studs or simply a flat rubber sole. 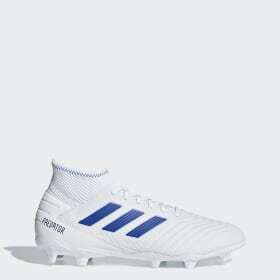 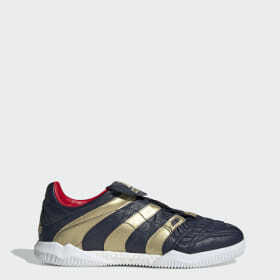 We offer football footwear at its best for men and women, as well as junior’s and kid’s football boots. 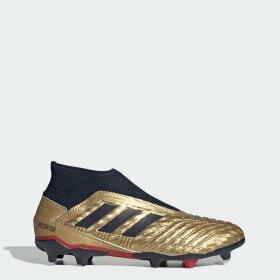 From innovative gold football boots to cutting edge laceless football boots; with adidas, precision, speed, unmatched ball-control and the freshest style are always at your feet. 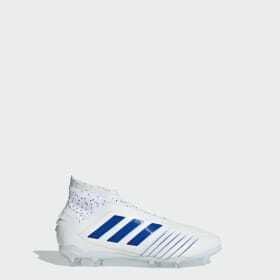 Whether you want to master control, unleash your speed, unlock your agility, or lock down tight plays — we have the football boots for you. 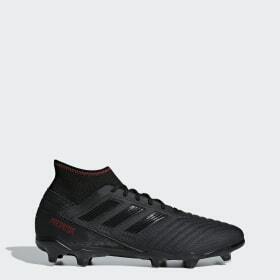 Choose from our most iconic ranges including: predator: Experience precise control with Controlskin uppers and laceless designs that create a seamless playing surface. 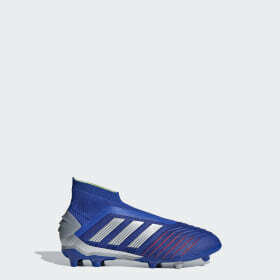 X: Move light and fast with ultralight speed frame technology and feel the ball with direct touch lightweight uppers. 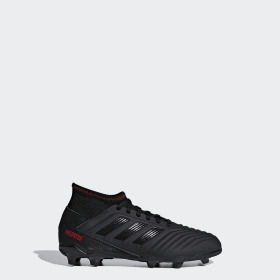 Copa: Enhanced touch improves your ball handling with control embossing on your uppers while synthetic, high performance leather provides our most responsive touch. 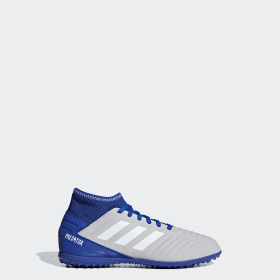 Nemeziz: Enjoy increased mobility and radical play with 360° agility bandages, allowing for fast turns and dynamic movement. Tango: From street to pitch, the tango range brings you classic football boot and sports trainer technology blended with modern design.